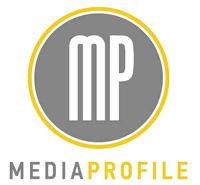 Media Profile Gets Deeper Into The Social Media Game, Launches Social Media Practice through strategic partnership with Mark Evans. Mark is no stranger to the world of social media and has been quite passionate about the space for a number of years and runs his own digital marketing and social media strategic consulting firm ME Consulting. The new service called MP Thread will offer a full range of social media services matched with Media Profile’s strong depth of public relations capabilities has opened their door tody. MP Thread services include training and education, research, planning, benchmarking, execution, alignment with PR, marketing and advertising strategies and measurement and monitoring. MP Thread takes a collaborative approach that aligns to a client’s overall business goals, ensuring that social media programs are tightly integrated into their communications, marketing and sales activities. We believe that success in the social media world comes not only from strong tactical execution, but also from strong strategic focus.